This Glitter Viinyl and rhinestone transfer is an awesome addition to your apparel. 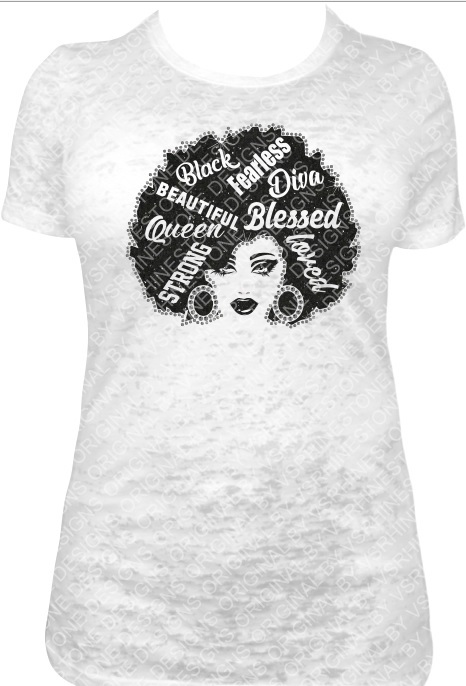 Show off your pride for being a beautiful brunette and black beauty. The approximate overall sizing for this design is 9 x 9. This is sold strictly as a transfer.